Teeth have 3 layers namely enamel, dentine and pulp. A dentist deals with almost all kinds of dental diseases. When dentists could not handle certain difficult tooth situation, they usually refer you to certain specialist. Specialist who deals with diseases of dental pulp and nerve is an endodontist (root canal specialist). When an infection has spread into the pulp region, infected nerve, degraded tiny blood vessels, tooth debris and pus have to be removed from the root canal to allow the root end of a tooth to heal. Root canal treatment comprises finding necessary numbers of root canals of a tooth, cleans and shapes the root canals, medicates the root canals, stabilizes the infection and finally filling the root canals. The tooth is thus lifeless but still functional. A crown is required later to protect the non vital tooth. When your tooth is decayed beyond dentine layer into the pulp region, root canal treatment is inevitable. This is where specialist of the root canal could come in aid. Sometimes, tooth with single root canal could be treated by general dentist with ease so no referrals required. If it happens to multi-rooted teeth like premolars or molars some dentists might refer to endodontist. Referrals are often made because root canals’ anatomies are often complex in premolars or molars. To do a good root canal treatment, the dentist must be able to find and clean all the root canals of the tooth. Most of the molars have very slender and sometimes obstructed root canals. 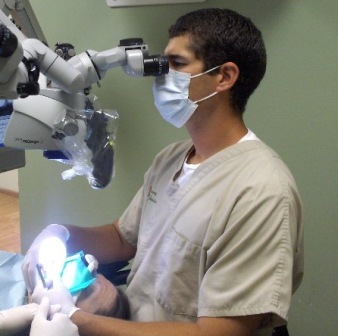 Therefore microscopes or certain magnifying devices are required to locate the root canals. That is why dentist usually refers difficult cases to endodontist to ensure a proper root canal treatment could be done. Besides that, if you need to redo your root canal treatment, dentist may refer you to endodontists as well as they have the necessary equipments to remove your old root canal filling, redo cleaning and shaping of root canals, re-medicate and refill them. What’s next after seeing an endodontist? Usually after a successful root canal treatment, your endodontist would refer you back to your previous dentist for a crown. It is crucial to have a crown done on a root treated tooth as when a tooth is lifeless it is brittle and prone to cracks and fractures. When you are treated by a specialist the charges are normally higher than general dentists. It is advisable to enquire on the price before you commence your treatment. Charges are often in accordance with treatment complexity and difficulty. No root canal treatment is guaranteed so it is wise to ask your endodontist the outcome of the treatment and options of treatment. 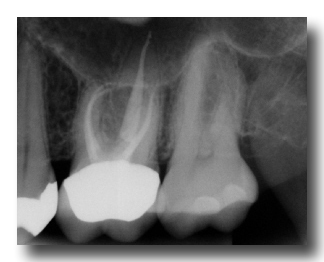 Usually if you do not want to proceed with root canal treatment you could only extract your problematic tooth. Can I see an endodontist for other treatments? Endodontists are also a trained dentist. You are always welcomed to see them but it still depends on whether they are doing other dental treatments besides their specialty. So the difference between a dentist and an endodontist is merely their field of expertise. Dentist would do almost all types of dental treatments. Endodontist usually does only treatment regarding dental pulp and root canal.